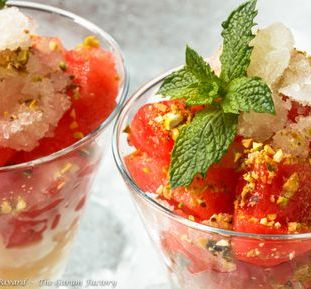 The pistachio seed has been a part of Greek food culture since at least the 2nd Century B.C., and likely much earlier. The English word pistachio is derived from the ancient Greek word pistákion (πιστάκιον). 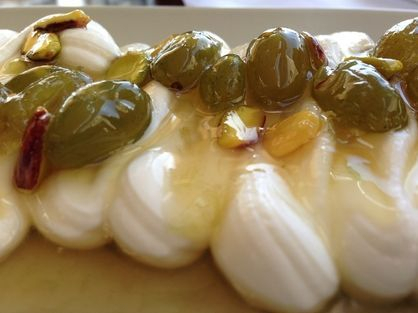 The ancients credited the origins of the pistachio tree to Arabia and Syria. 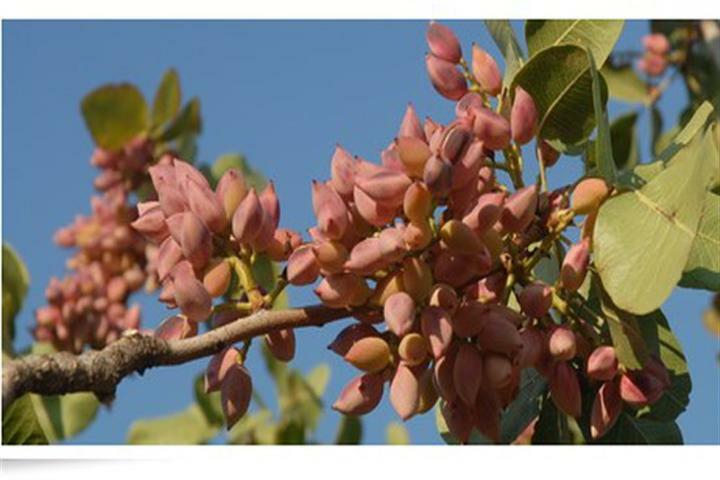 Today, the island of Aegina and the region around Megara are the traditional epicentres of pistachio cultivation in Greece; with more recent production also taking place in Phthiotis, Boeotia and the Aegean island of Euboea (Evia). they are referred to as fystiki Aeginis (pronounced: fee-STEE-kee ay-YEE-nees). 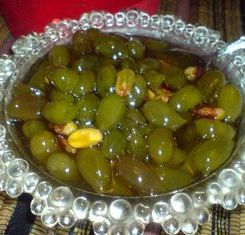 Greece is the largest producer of pistachios in Europe and the sixth largest exporter of pistachios to the world; the bulk of global pistachio cultivation takes place in Iran. Known as common wisdom to all males from the Middle-East and Asia, eating pistachios increases the male potential, is known for increasing the amount and quality of a man's sperm, and erective quality. 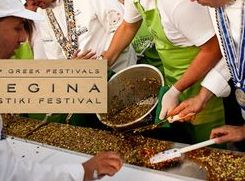 Aegina is hosting an annual “Fistiki Festival”. 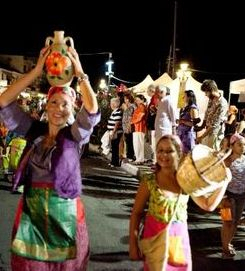 A four+ days program includes events of cultural, entertaining and educational character, while special emphasis is given to gastronomy.The commercial exhibition, set up along the port of the island, is the core of the celebrations. About 60 kiosks offer local products varying from a great quantity of pistachio and other pistachio nut-based products, as well as local agricultural products, such as Aeginetan cheese and honey, to multiple other traditional goods of Aegina, such as clay objects, kopaneli-laces (hand-woven laces), jewelry and much more. The program includes art exhibitions, folklore dances, songs, lectures, plays and other performances. At the same time many creative and interesting demonstrations for children are taking place. The opening ceremony promises surprises for everyone and predisposes the attendants for the quality of the celebration. Sail to that special island, Aegina . 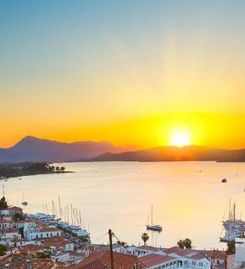 Aegina is a bustling little port surrounded by numerous small shops tucked away in narrow back streets with colourful tavernas and cafes along its waterfront. For lovers of ancient Greece, a short bus ride takes you to the temple of Aphaia, one of the better preserved Doric temples in Greece. The temple is located on the pine-clad Mesagro hill on the northeast end of the island from which there are stunning views of the Saronic Gulf and the surrounding area. Aegina provides good shelter except to the south west but should be avoided on Thursday as it is the last port of call for the Kalamaki Marina charterers. As such, the pistachios of Aegina travelled the world ...! 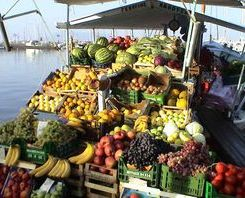 Today traditional caiques with fruit and vegetables tie up along the quayside and sell their wares directly from the boat.You may find this live,by caiques selling veggies, only on Aegina .... Elsewhere , you can buy straight from the caiques ,fresh, the day's fish .. Enjoy your sesnes , stay with us! So Greek to me ! Consume straight , as fresh elixir.!.. 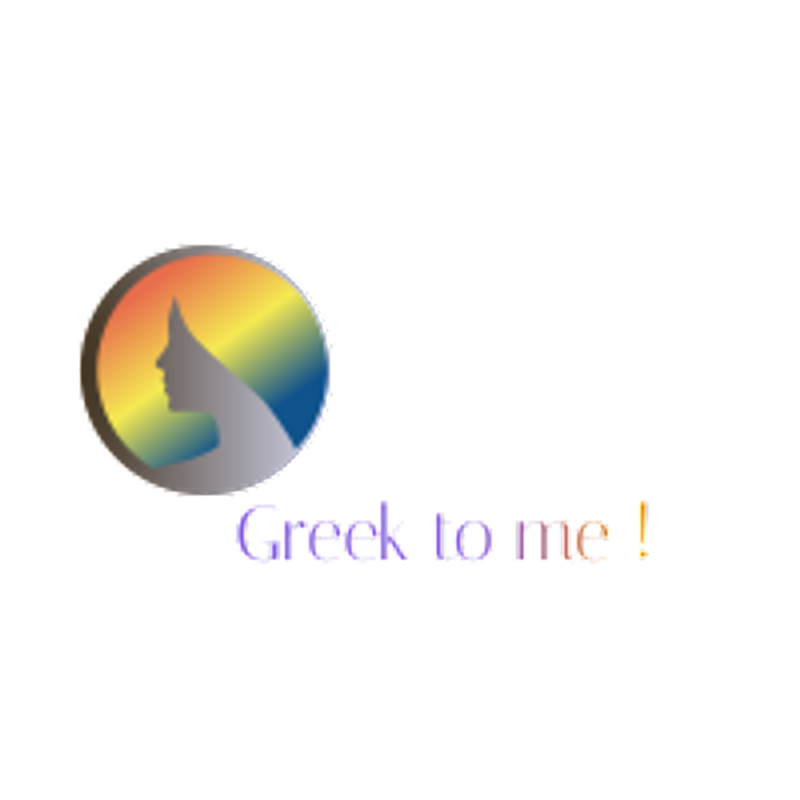 Stay Greek to me ! Old Testament in Genesis 43:11. 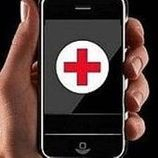 So their father, Jacob, finally said to them, "If it can't be avoided, then at least do this. Pack your bags with the best products of this land. 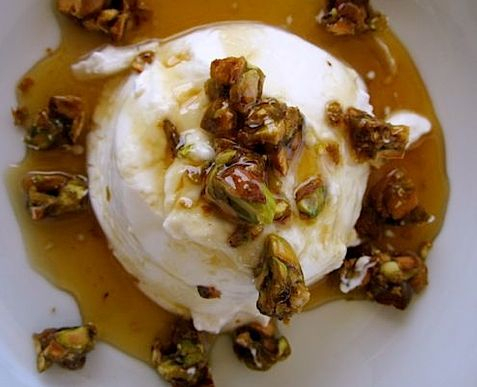 Take them down to the man as gifts--balm, honey, gum, aromatic resin, pistachio nuts, and almonds". In Iran they are known as "smiling nuts." Middle Easterners call the pistachio the "smiling pistachio." In these countries, if you hear the pistachios shells opening on a tree while you are resting beneath it, it is considered good luck. Dietitians recommend a daily portion of 28g, which is about 49 nuts. They contain about 160 calories. Pistachios thus contain fewer calories than many other nuts. 1. Buy pistachios in their shell: If you split open the nuts yourself, you automatically eat more slowly and more deliberately. 2. Replace sweets and namkeens with healthy yet satisfying snacks such as pistachios and dried fruit. The shells of pistachios have a special benefit – they may slow down consumption. 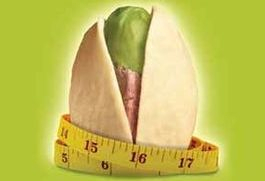 According to James Painter, PhD, RD, Chair of the School of Family and Consumer Sciences at Eastern Illinois University in the United States, the “Pistachio Principle” is caloric reduction without calorie restriction. Two studies that found that individuals could reduce their overall calorie consumption without consciously restricting their diets. In his first study, individuals self-selected either in-shell or shelled pistachios. Because the shells act as a natural barrier, taking longer to remove, the in-shell group consumed 41% less than the shelled nut group. And yet they reported feeling equally as satisfied as the group consuming more. In Dr. Painter’s second study, in-shell pistachios were consumed over an 8-hour shift. On the first day the empty shells were left on the desks as a visual “reminder” of consumption and on the second day the shells were removed. Results showed that when the shells were left on the desk as a visual cue subjects consumed 23% fewer calories. Find these ingredients fresh from the market in Greece, or from the veggie shop nearby you , wherever you find yourself in Greece. If you are already far away, keep in touch, and share the greek2m hype. Stay with us ! 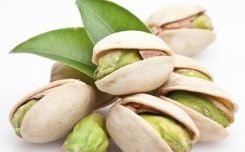 Quoting the lead researcher, Dr. Penny Kris-Etherton, "Our study has shown that pistachios, eaten with a healthy heart diet, may decrease a person's cardiovascular disease risk profile. 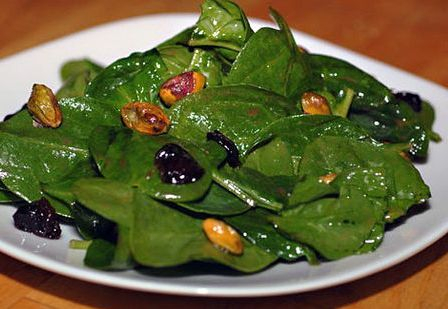 "She went on to say that, "Pistachios are rich in an antioxidant called lutein, usually found in green leafy vegetables and brightly colored fruit. Present at higher levels in the pistachio than other nuts, lutein helps prevent cholesterol from clogging up arteries"
Aegina’s pistachio is a P.D.O (Protected Designation of Origin) product. Heart Health Study participants who consumed a low-calorie diet with either 10 percent of their total calories or 20 percent of their total calories in the form of pistachios for four weeks lowered their cholesterol more than participants who followed the Step 1 diet for lowering cholesterol, according to a study published in the "American Journal of Clinical Nutrition" in September 2008. Nougat de Montélimar with Pistachios, Sliced Almonds and Cranberries Covered in Dark Chocolate ( TRY THEM GUILT-FREE) You may not find them exactly as such, but you never know. 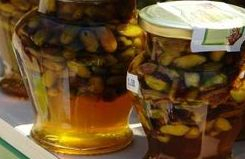 In Greece, and especially while on Aigine, and also all aover Greece, during "panigiria" local markets that take place on feasts, most of the time religious ones, ask for the nougatinas. You can be veery lucky, let that taste make your day. Forget the sugar calories, stick to the euphoric function of this special nutritional value!!! If you are a reader you might certainly be familiar with Tomasi di Lampedusa, author of one of the most famous masterpieces of Italian literature, “Il Gattopardo”, The Leopard (1958), set in the Sicily of the 19th Century. 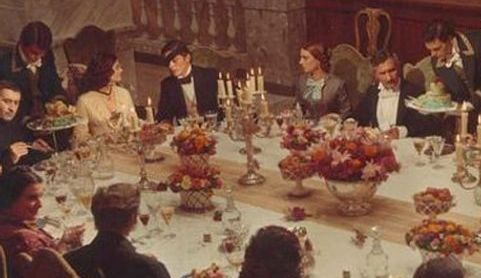 In 1963 Luchino Visconti directed the movie inspired by it: here – in one of the many parties in magnificent palaces – you can see a long table with pistachios on it. 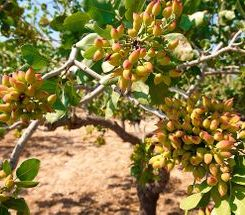 Back to today’s Sicily, it can certainly be said that the cultivation of pistachios in Bronte is heroic: the territory where pistachio grows, in fact, it’s called “sciara”, from the Arabic term indicating “sterile, untamed, infertile ground”. Contrary to the sunny Aegena island weather, which is on the South of Greece, in Sicily pistachio grows between lava and stones , on an impervious ground that has a very restricted space where it is almost impossible to cultivate any other species.